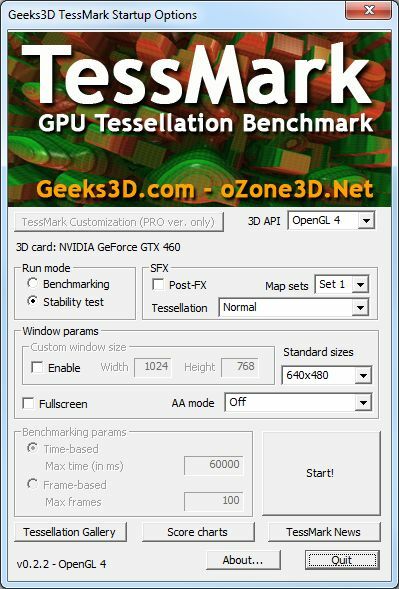 TessMark is an OpenGL benchmark and tech demo that uses the new hardware tessellation (or GPU tessellation) features exposed by the OpenGL 4 API and available on the latest graphics cards like the NVIDIA GeForce GTX 480 or the ATI Radeon HD 5870. 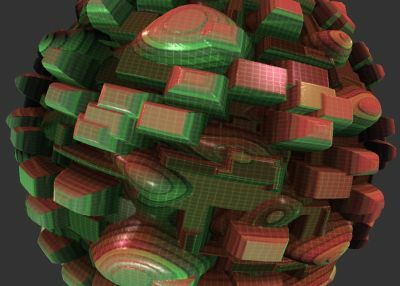 Hardware tessellation makes it possible to divide a polygon into smaller ones (according to the tessellation level factor) in order to increase polygons density: the higher the tessellation level, the higher the polygon density. 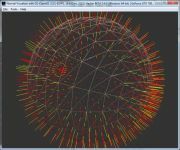 A high tessellation level requires much GPU processing power. 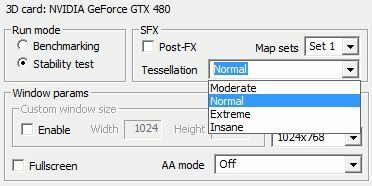 Hardware tessellation (OpenGL 4 or Direct3D 11) requires GeForce GTX 400 Series (like the GTX 460, GTX 470 or GTX 480) or Radeon HD 5000 Series (like the HD 5770 or HD 5870). 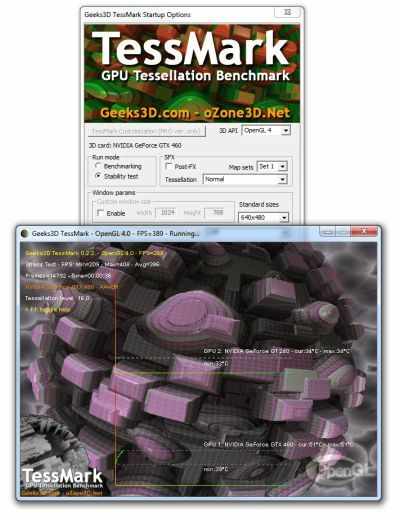 The benchmark includes several options allowing the user to tweak the rendering: fullscreen or windowed mode, MSAA selection, window size, duration of the benchmark. This table gives an idea of the average score by type of card. A more detailed table is available HERE. Duration: 60 sec (60000 ms). Page generated in 0.0023360252380371 seconds.